On Monday, October 28, 2013, the Cairo Institute for Human Rights Studies (CIHRS) issued a new thematic report on the mechanisms of cooperation between Arab civil society and the League of Arab States, including prospects for strengthening such a partnership in order to promote and protect human rights in the Arab region. 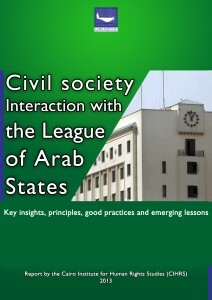 The report, entitled “The Interaction between Civil Society and the League of Arab States: An Analytical Reading of the Most Significant Principles, Practices and Lessons Learned”, was co-written by Mervat Rishmawi, an advisor to the Open Society Foundation, and Sohair Riad, the researcher in charge of work related to the Arab League at CIHRS. The report also includes an introduction written by prominent Sudanese human rights advocate Dr. Amin Medani. 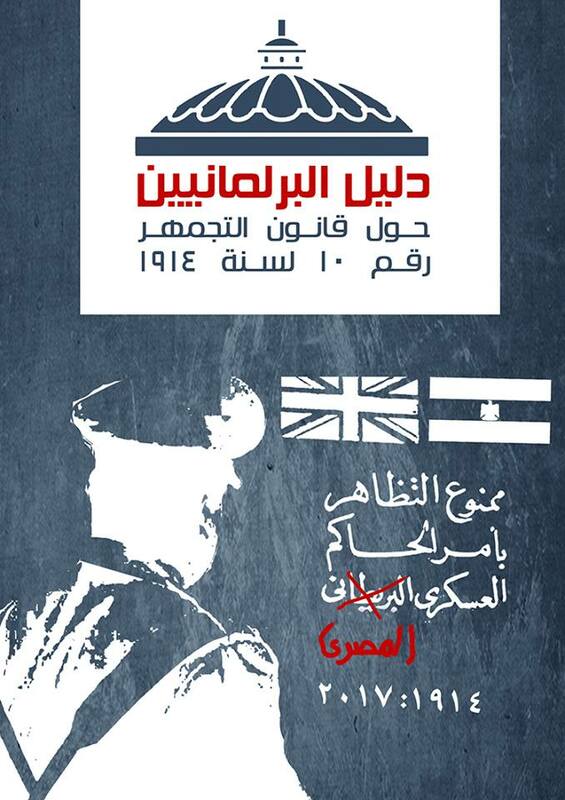 The report reviews the history and the political framework surrounding the mechanisms developed by the League of Arab States to deal with human rights issues as well as the ways in which Arab and international civil society organizations have engaged the League on these issues. 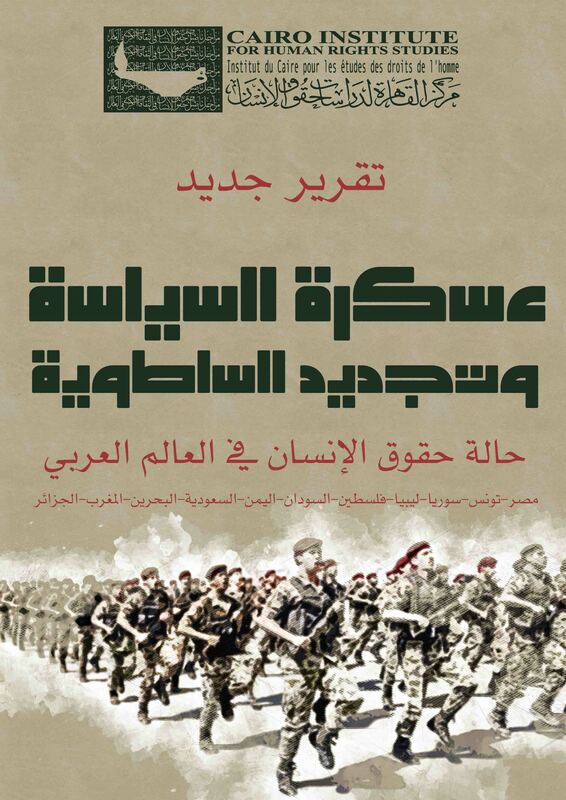 The report includes two sections, both of which trace the history of the relationship between civil society and the Arab League and point to opportunities for future cooperation, particularly in the light of resolutions passed by the League following the uprisings of the so-called “Arab Spring”. The first section of the report focuses on the process of civil society involvement with the League of Arab States. It provides an overview of the various efforts which have been undertaken by civil society to cooperate with the League in order to strengthen the League’s human rights component and to promote initiatives which have emerged in the field of human rights within the League since the 1970s. This section also reviews the process by which human rights have been introduced into the Arab regional system and offers a detailed explanation of the role played by regional mechanisms in the protection of human rights. It also lays out some of the restrictions and threats faced by civil society organizations in the Arab region, particularly with regards to their relations with Arab governments and the repercussions of these relations on civil society’s ability to cooperate with the League of Arab States. The second section of the report focuses on the current state of affairs and on future opportunities. It discusses the initiatives most recently proposed by civil society to develop the involvement of civil society groups in the work of the League of Arab States. This section reviews activities carried out by local, regional and international organizations to engage with the League of Arab States. It also sheds light on a range of key issues raised by civil society organizations regarding their involvement with the Arab League since the beginning of the “Arab Spring”. Finally, the report includes a set of statements and other documents issued by civil society organizations which reflect the collective efforts and consultations which have been and continue to be undertaken to address contentious issues and express reservations on these issues. Among the topics covered are the Charter of the League of Arab States, the Arab Charter for Human Rights, and the roles of the Arab Human Rights Committee, the Arab Parliament, the Standing Committee on Human Rights, and the Arab Court of Human Rights, as well as the powers of each of these bodies and their ability to effectively contribute to the human rights system in the Arab region.